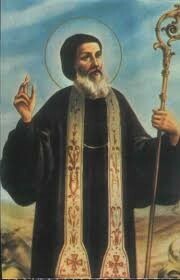 St. Maron – St Maron (also spelled Maroun) is the spiritual father of the Maronites, and the saint from whom the Maronite Church draws its name. Of all the Eastern rite Churches, the Maronite Church is the only one known by the name of a person—St. Maron. Born in the middle of the fourth century, St. Maron was a hermit, who, by his holiness and the miracles he worked, attracted many followers. After his death around the year 410, his monastic disciples built a large monastery in his honor, from which other monasteries were founded. 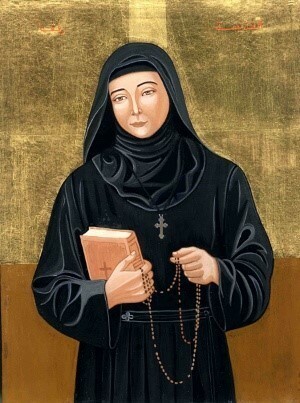 St. Nimtullah Hardini: Youssef Kessab was born in Hardine, in North Lebanon, in the year 1808, from a devout Maronite Catholic family, Gergis Kessab and Mariam Raad. 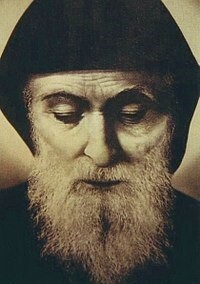 As a youngster he attended the school of the monastery of the Maronite Lebanese Order of Saint Anthony, in Houb (1816-1822). After that he joined the monastic life in that same Order, and put on the novitiates’ uniform in the monastery of Saint Anthony the Great, Gazo d’Hayo (pronounced Kozhayya in Lebanese, from the Aramaic Gazo d’Hayo, meaning the treasure of life, a term that is often used in Aramaic Maronite terminology to refer to the Sacristy, where the Eucharist and the martyrs and saints relics are reserved), in November 1828, taking the name of brother Nimatullah (which means the grace of God). He spent there some peaceful time growing up in holiness and learning some skillful trades, like binding books in the monastery’s printing house. In 14 November 1830, Nimatullah professed his solemn vows. And after he finished his theology studies, he was ordained to the sacred priesthood in the monastery of Saints Qobrianos and Youstina, in Kfifane (Batroun, North Lebanon), in December 25th, 1833, by the laying hands of his Excellency bishop Simon Zouein. He was elected a Counselor (Provincial) by his Order’s chapter for three times: 1845-1848; 1850-1853; & 1856-1858. He always worked in binding books even when he was a Counselor in the General Administration of his Lebanese Maronite Order. He was a teacher in several schools run by his Order, especially the one annexed to the Kfifane monastery. 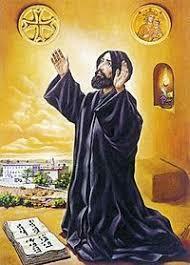 One of his best students was Saint Sharbel Makhlouf, who studied under Saint Nimatullah from 1853-1858. Nimatullah died in the monastery of Saints Qobrianos and Youstina, in December 14, 1858, after being severally ill for years. After an order from Patriarch Boulos Massad, and because of the demands of the increasing visitors, his uncorrupted body was closed in a sealed coffin and moved to a separated cell in the monastery in 1862. In May 4th, 1926, his beatification case was presented to the Holy Sea in Rome. In September 7th, 1989 he was declared an honorable. In May 18th 1996, and according to the orders of Patriarch Mar Nisrallah Peter Sfeir, a committee was appointed to examine Saint Nimatullah’s body, which was moved to a new coffin, then placed in a new room in the same monastery in March 26, 1998. God granted his people many healing and miracles through the intercession of Saint Nimatullah, among these several we mention just few samples here: making a blind man to see, and another paralyzed to walk erect, and brining back to life a child who was dead, healing another child, and healing from cancer and other neurotic illnesses. In May 10, 1998, Pope John Paul II, presided the great celebrations of his beatification. (and then of his canonization a Saint for the Universal Catholic Church, in May 16th, 2004-this last line in italic I added). May his prayers be with us always. Amen. 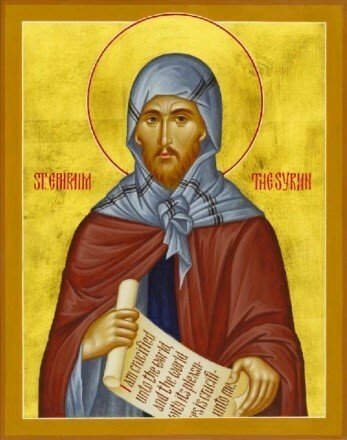 St. Ephrem (306-373) Poet, teacher, orator and defender of the faith, Ephrem is the only Syrian recognized as a doctor of the Church. He took upon himself the special task of opposing the many false doctrines rampant at his time, always remaining a true and forceful defender of the Catholic Church. The writings and theological poetry of St Ephrem are the patrimony of the Maronites, and one familiar with his poetry, types and images will find them throughout the Maronite liturgy. Born in Nisibis, Mesopotamia, he was baptized as a young man and became famous as a teacher in his native city. When the Christian emperor had to cede Nisibis to the Persians, Ephrem, along with many Christians, fled as a refugee to Edessa. He is credited with attracting great glory to the biblical school there. He was ordained a deacon but declined becoming a priest (and was said to have avoided episcopal consecration by feigning madness!). He had a prolific pen, and his writings best illumine his holiness. Although he was not a man of great scholarship, his works reflect deep insight and knowledge of the Scriptures. In writing about the mysteries of humanity’s redemption, Ephrem reveals a realistic and humanly sympathetic spirit and a great devotion to the humanity of Jesus. It is said that his poetic account of the Last Judgment inspired Dante. He preferred a simple, austere life, living in a small cave overlooking the city of Edessa. It was here he died around 373.